Clouds cleared about 1:00 AM and the Milky Way appeared in the sky. I made this photo from the Balanced Rock parking area in Arches National Park. 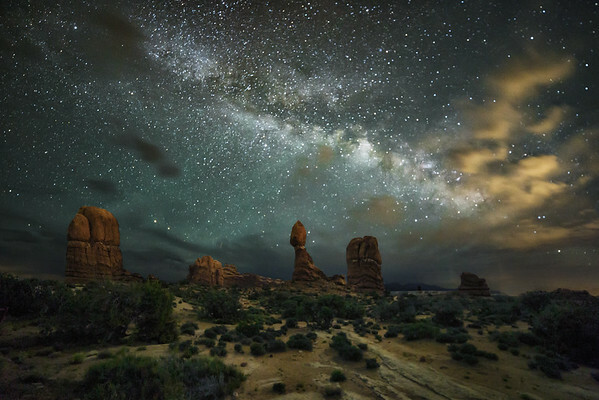 The color in the clouds from light pollution generated by the City of Moab, UT. This is another composite of a 25 second exposure for the night sky and a three minute exposure for the foreground.